This workshop will teach you how to create a realistic 11″ x 17″ or 17″ x 22″ quilt based on a photo of your choice. Simple landscapes without too much foreground detail, and closeups of flowers or animals work best. I will walk you through my technique of utilizing a black and white copy of your photo to see value and translate that into a compelling and realistic image. Complex shapes are easy because there is no piecing. The entire piece is based on fusible raw edge collage. Students will be given a choice to use one of three of my photos or students will be asked to email their own photo to me in advance to assess suitability. This introductory workshop is designed to give participants the skills to thread paint a raw edge fabric collage. Dense or loose free motion machine stitching can greatly enhance a collage with texture and color. This step is done prior to making the quilt sandwich and stitching through all three layers. I take the “anything goes, there are no rules” approach to thread painting. I will base my teaching to the interests and skill level of the group. Free motion technique, tools and tricks, thread types, shading, double needle technique, fillers, doodling and scribbling will be included. 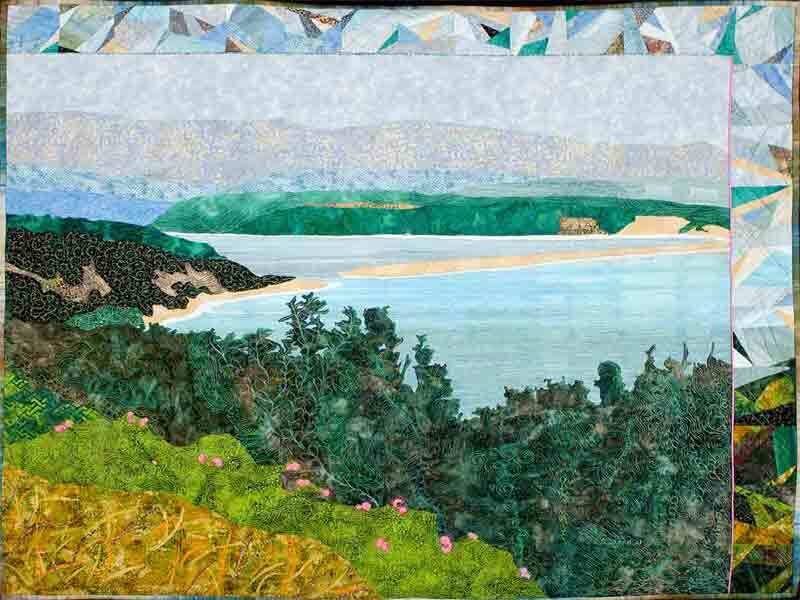 Participants will practice on a stabilized piece of muslin, a printed fabric with a large design, or a fabric collage prepared from the Raw Edge Collage Landscape Quilt Design class. Get in touch with Anne if you are ready to purchase one of the quilts for sale or want to commission a custom quilt. 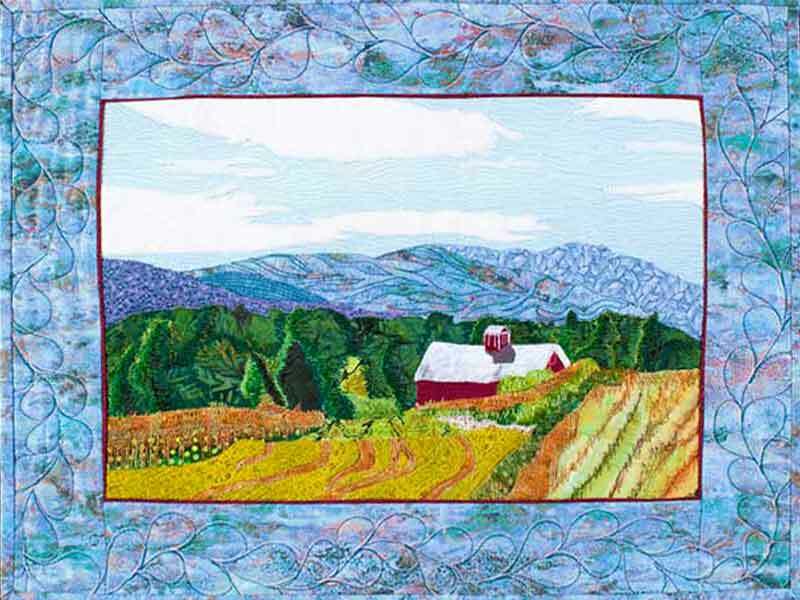 Anne Standish is a Vermont artist finding new ways to make representational images of real places with fabric, photographs printed onto fabric, thread and paint.